Salted paper print from calotype negative. 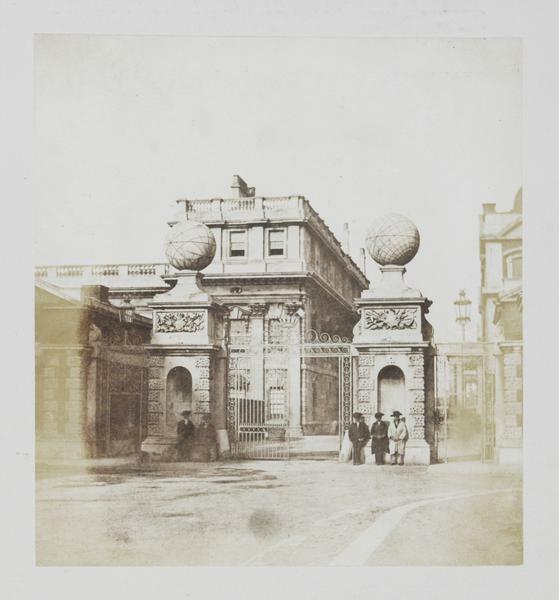 Salted paper print of five men standing in front of the entrance gate at Greenwich Hospital, plate 76 on a page in the album. 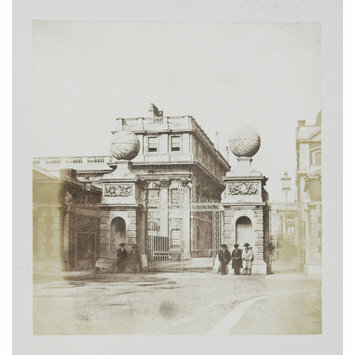 One of 82 photographs in album. Title from handwritten contents page. This album contains museum numbers RPS.269:1-2017 to RPS.269:82-2017. Schaaf, Larry John. 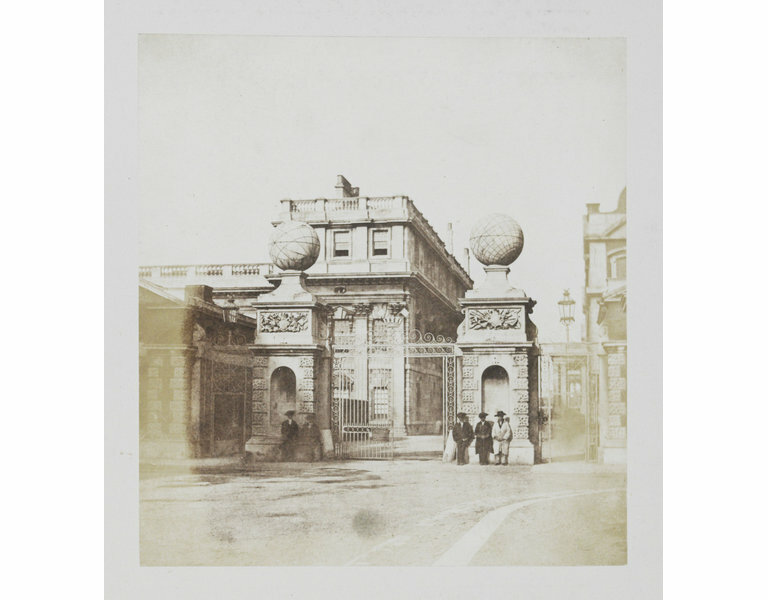 The Photographic Art of William Henry Fox Talbot. Princeton and Oxford: Princeton University Press, 2000. ISBN 0691050007. From a negative at the National Science and Media Museum, 1937-3927.